We all love playing with RC Cars in our childhood. Not only in childhood but even now most of us love to play with RC Cars. So, today I’m going to Share 7 Best Remote Control Cars To Buy In India. Whether you are a child or adult, it’s always an entertaining time when it comes to play RC Cars. You should always step ahead whether it’s for playing RC Cars, RC Monster Truck, RC Helicopter, RC Bike or even RC Airplanes. 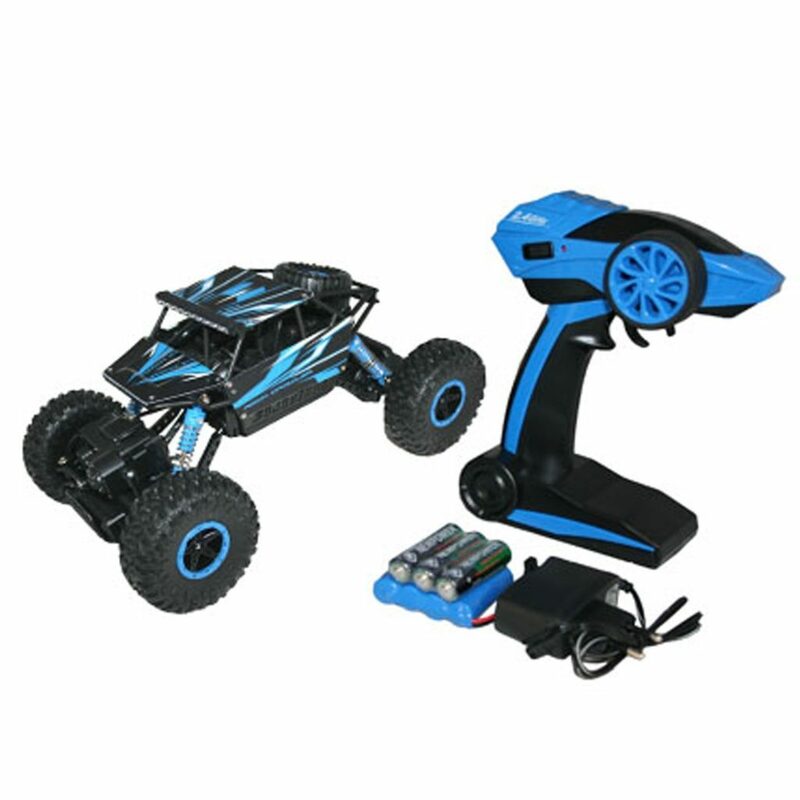 When it comes to Remote Control Cars, there are many types of RC Cars including Remote Control Moster Truck, Electric RC Cars, Off-Road Cars, On Road Cars, etc. So, from these types of RC Cars, you can select the one which you want. Also, the price of these RC Cars varies and here I’ve listed some of the cheapest, and some of the expensive ones. So, without wasting more time, let’s step into it and check out 7 Best Remote Control Cars To Buy In India. 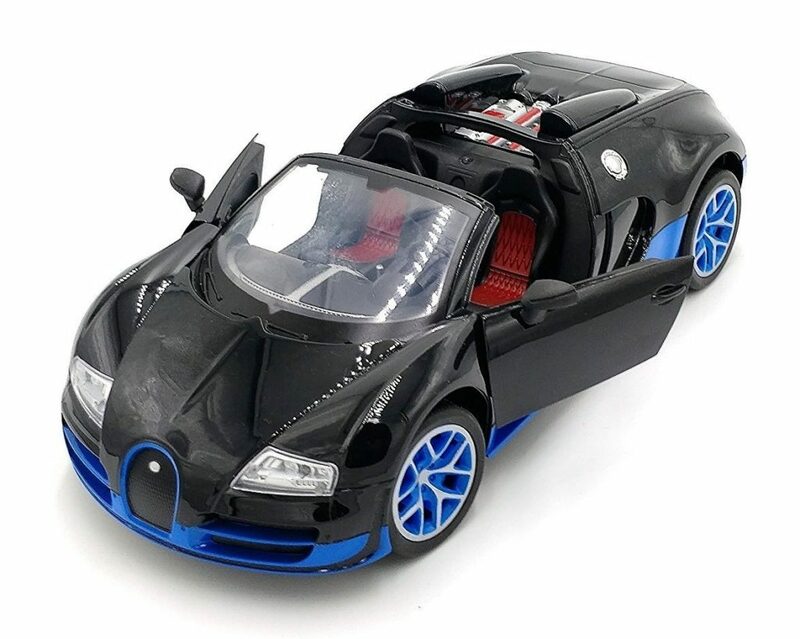 The Flyer’s Bay Rechargeable Bugatti Style RC Car is one of the Best Rechargeable RC Cars which comes with fully function doors. The Package contains Car, Remote, Charger and the Batteries. Also, the doors are fully functional which can be controlled by pressing the button on the remote. You can drive this car for up to 20 meters. Moreover, after playing with this RC Car, you can also use this as a showcase and keep it anywhere you want. Toys Bhoomi X-knight is another Best Radio Control Car which is a High-Speed Off-Road RC Racing car which moves at the speed of 20KM/H. It comes with 2.4GHz radio system and the Pro Steering is fully functional which can make you monster car go forward, backward, turn right, turn left. Also, it has an Adjustable front wheel. The Car is easy to use and can be played by a child as well as adult. Overall, it has a great design and it can perform at high-speed. 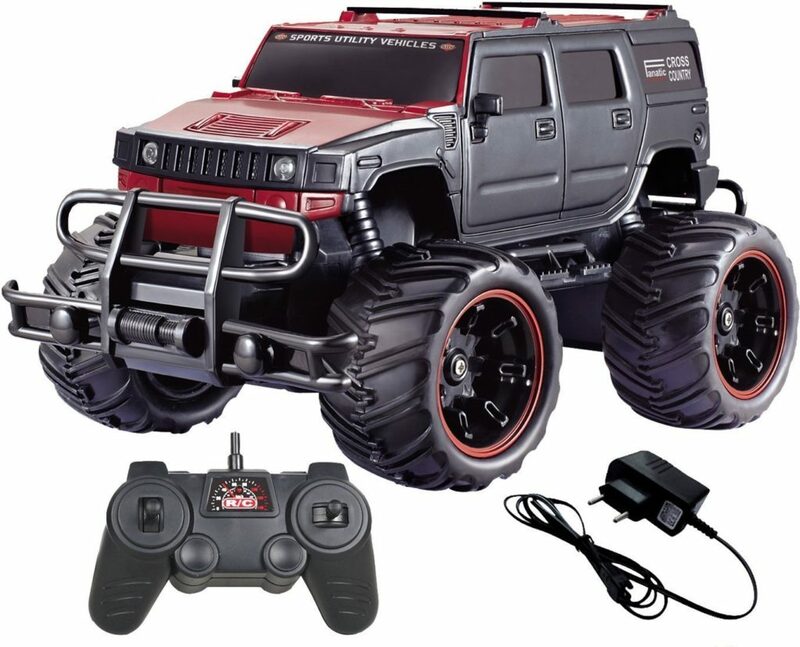 If you are looking for a Transformer Remote Control Car, then this is for you. It is 1:14 Scale Remote Controlled Car which can convert into Transformer in one click. 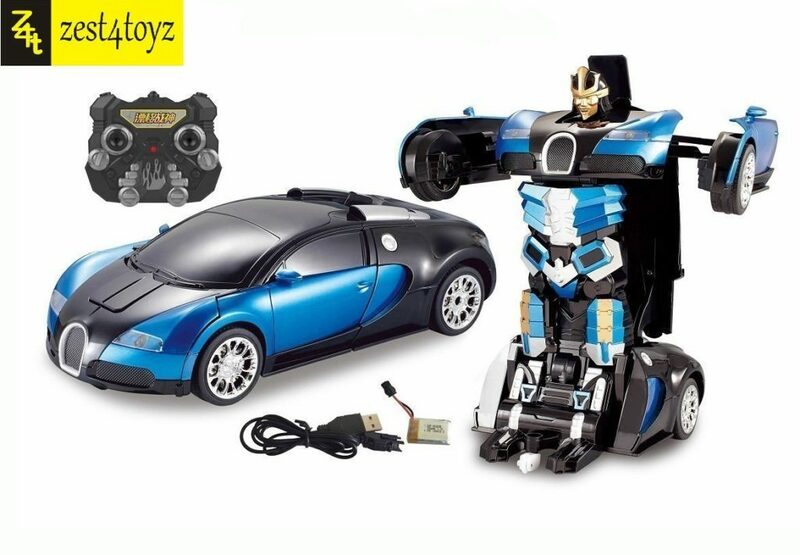 It is a Bugatti Style Car Transformer which converts to a transformer and back again to the car within seconds by simply pressing the button on the remote provided. Moreover, it can also run at high-speed and it has a very cool design. It’s really an entertaining toy which can be played by the child as well as adults. Webby Off-Road Passion 1:20 Monster Racing Car is one of the most popular and Best Monster Racing Car to Buy In India Under Rs.1000. This is one of the Best and Cheapest Remote Control Cars which has shock suspension system and rubber tiers. It has an extremely durable body with front and rear bumpers which allow this car to run on grass, sands or floors easily. If you are looking for the Racing Car for Playing indoor and outdoor then this will be the best choice as it’s suitable for both indoor as well as outdoor driving. 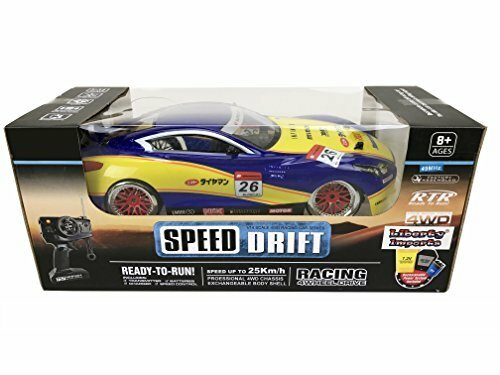 It is one of the Best Super Fast Drift Champion R/C Sports Car Remote Control 4WD Drifting Race Car 1:14 which comes with Lights and 2 Sets of Tires. The Package includes 4 smooth tires, 4 rubber tires and pack of rechargeable batteries. It is a 1:14 scale car with durable lightweight shell and 13 inches in length. This Racing RC Car has 4 wheel driving system which provides extra power and motor rotates all of the four tires. Overall, it’s the Best buy RC Car. Adraxx is a 1:18 Scale Remote Control Mini Rock Through Car which can run not only in indoors but it can also run outdoors on the grass and rock. It is the Best Outdoor Remote Control car and indoor Remote Control Car which has extra Large wheels and strong suspension which makes it easier to run on any floor whether it’s a grass, rock or marble. The Package contains a Car, Remote, Charger and it’s Rechargeable Batteries. It is a chargeable remote control car and you can easily enjoy playing this car and it’s suitable for both child as well as adults. 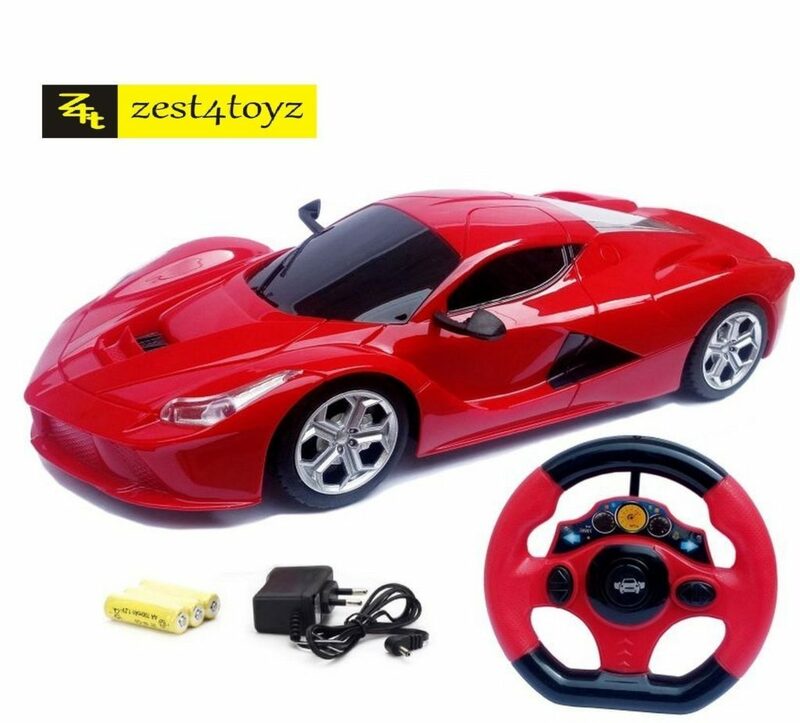 Zest 4 Toyz Steering Remote Control Racing Car is one of the Best Budget Remote Control Car which you can purchase online under Rs.700. It is a fully functional four channel steering remote control car which has adjustable front wheel alignment for better precision. The Car Package contains Rechargeable Batteries, Car Charger, Remote and of course the main product, Car. 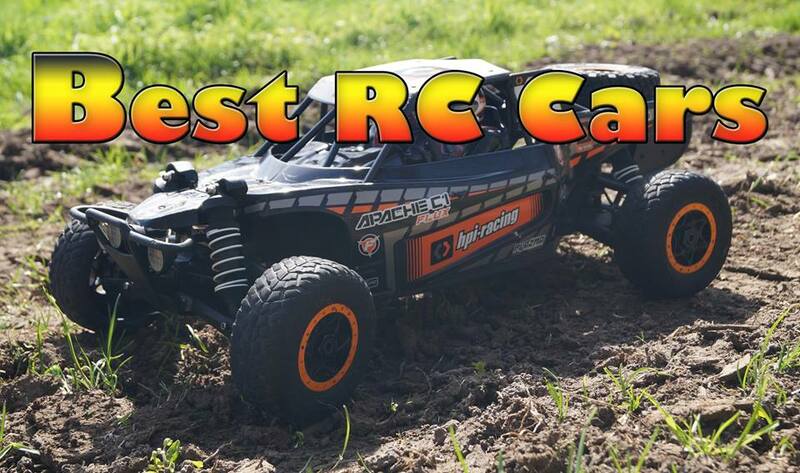 If you are looking for the best budget RC car, then you should go with this as it the best cheap RC car at this price. This was the Article On 7 Best Remote Control Cars To Buy In India. Apart from this, there are many other RC Toy Car but here I’ve shared the Best out of them. Whether you are a child or adult doesn’t matter, all of them can play with these Toy RC Cars. Hope you liked this Article On Best Remote Control Cars. Do Comment below if you know any other best remote control cars online. Stay tuned with us for more latest Gadgets and Products.